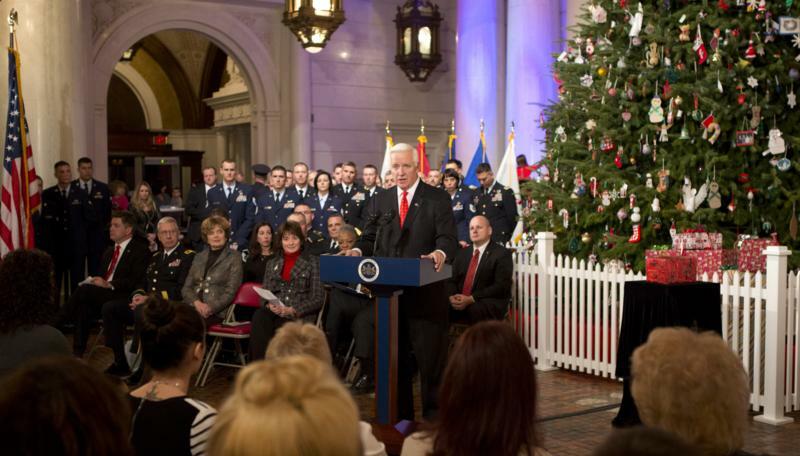 Today, Governor Tom Corbett and First Lady Susan Corbett celebrated the holiday season in the state Capitol with the annual lighting of the Capitol Christmas Tree. 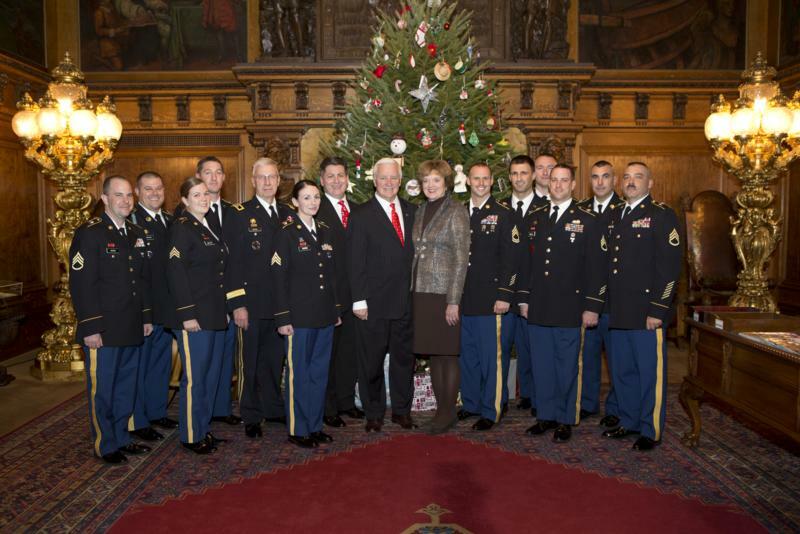 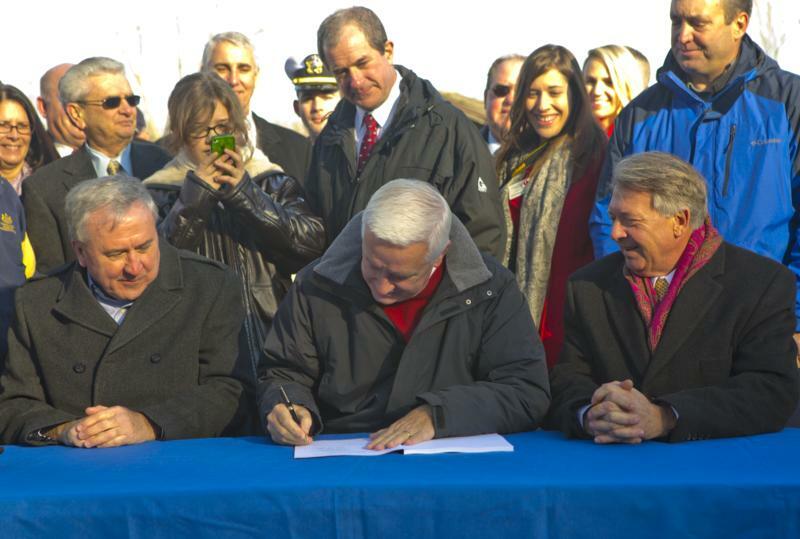 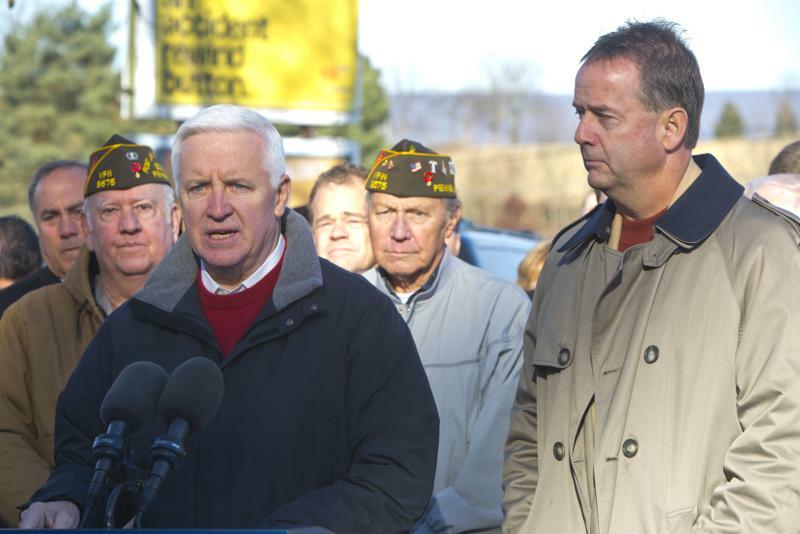 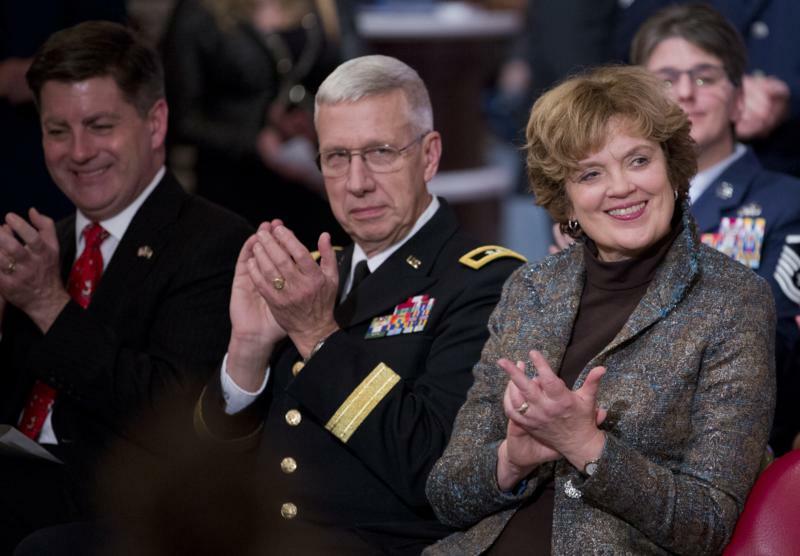 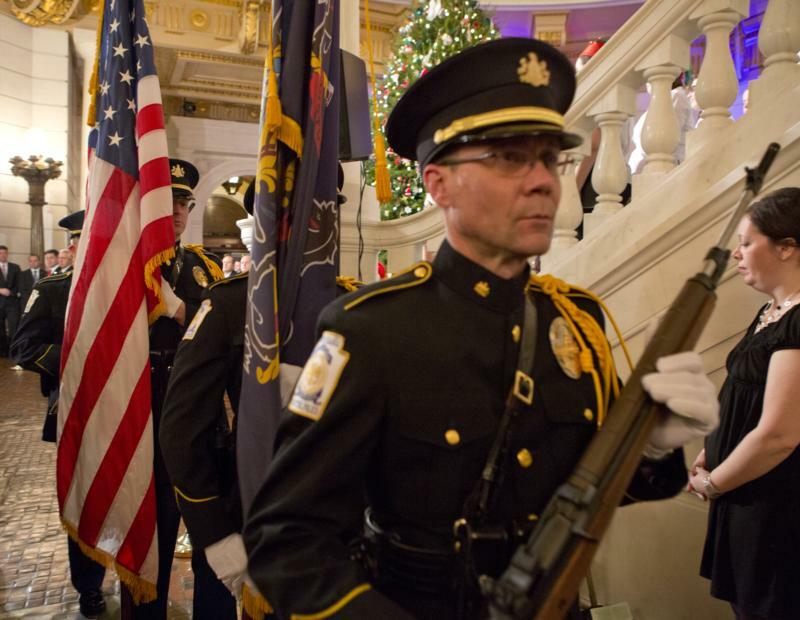 Honoring Pennsylvania's military personnel, the governor paid tribute to the men and women of Pennsylvania's military, some of whom recently returned home from deployment in time to spend the holidays with their loved ones. 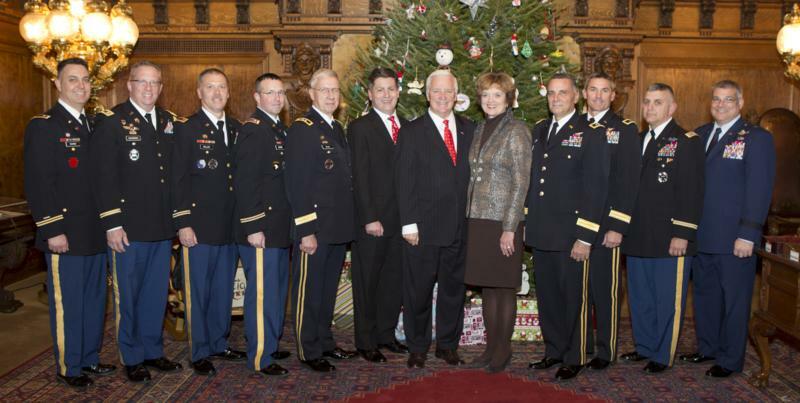 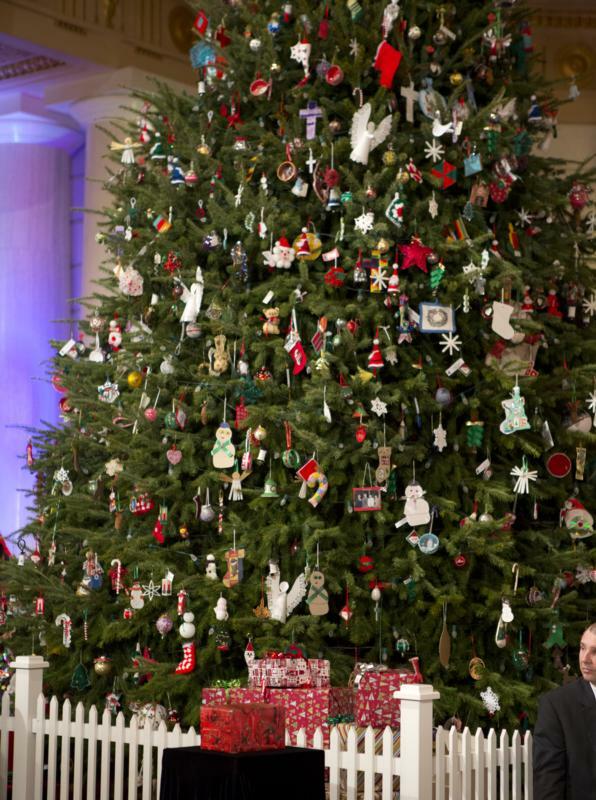 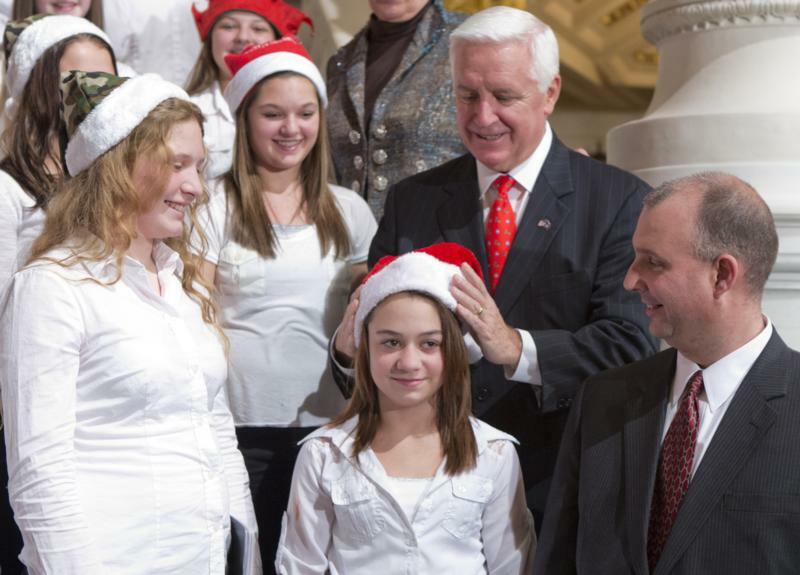 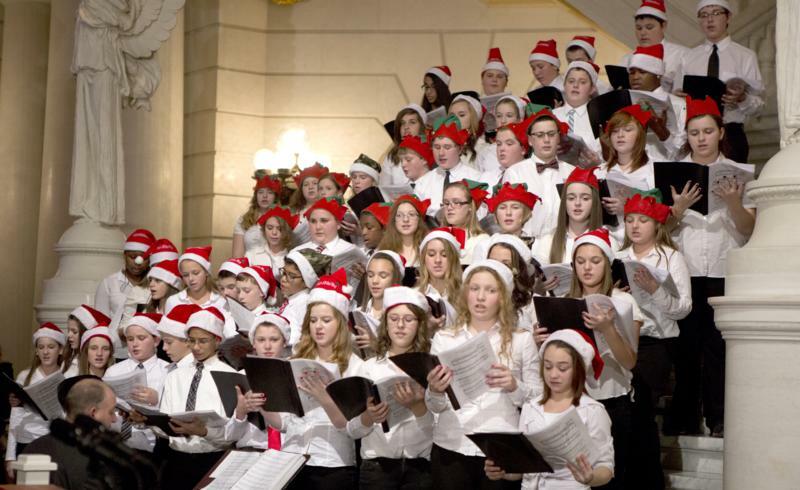 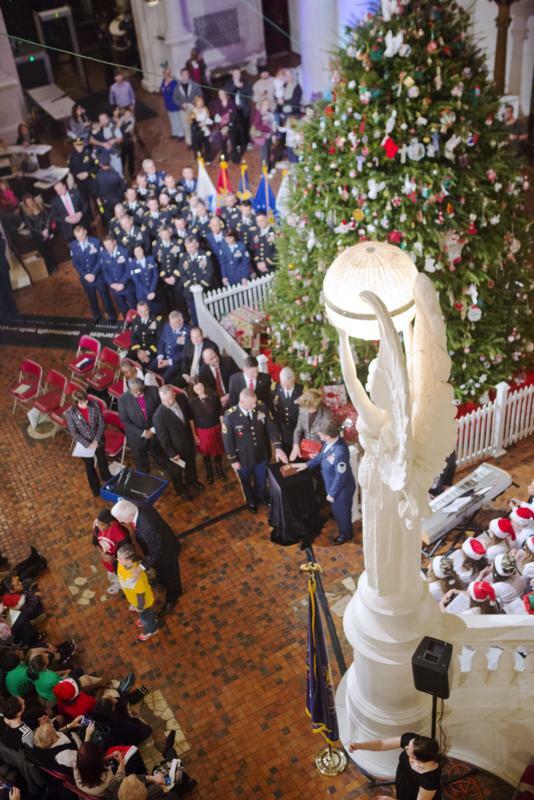 Governor Tom Corbett and First Lady Susan Corbett celebrated the holiday season in the state Capitol with the annual lighting of the Capitol Christmas Tree. 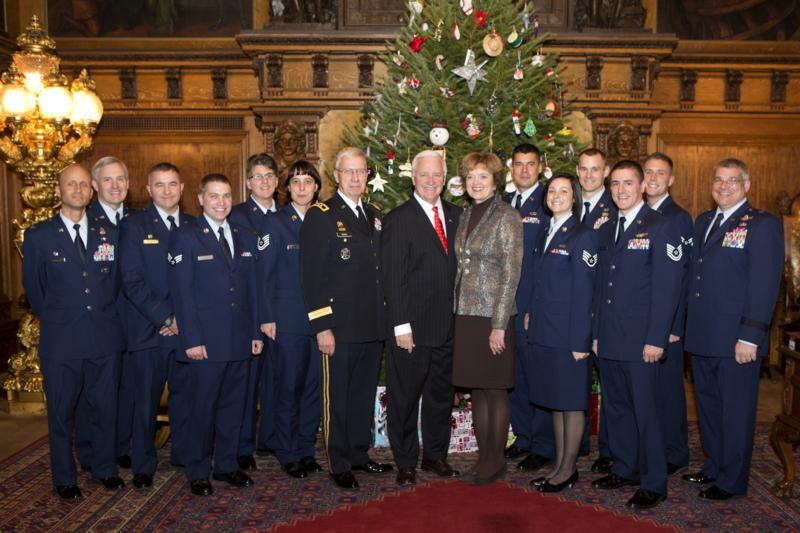 Honoring Pennsylvania's military personnel, the governor paid tribute to the men and women of Pennsylvania's military, some of whom recently returned home from deployment in time to spend the holidays with their loved ones. 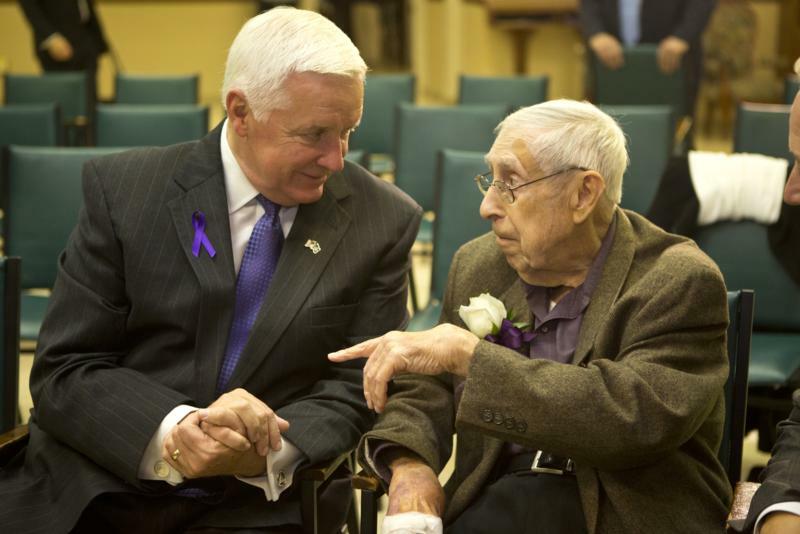 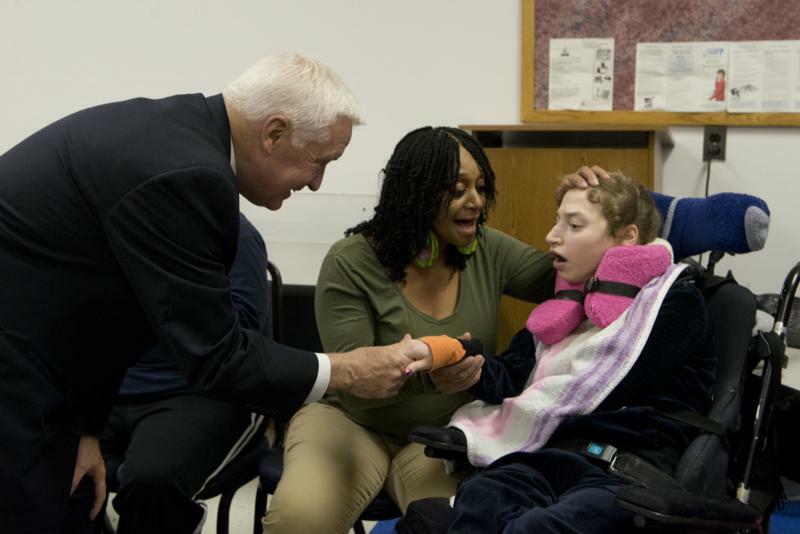 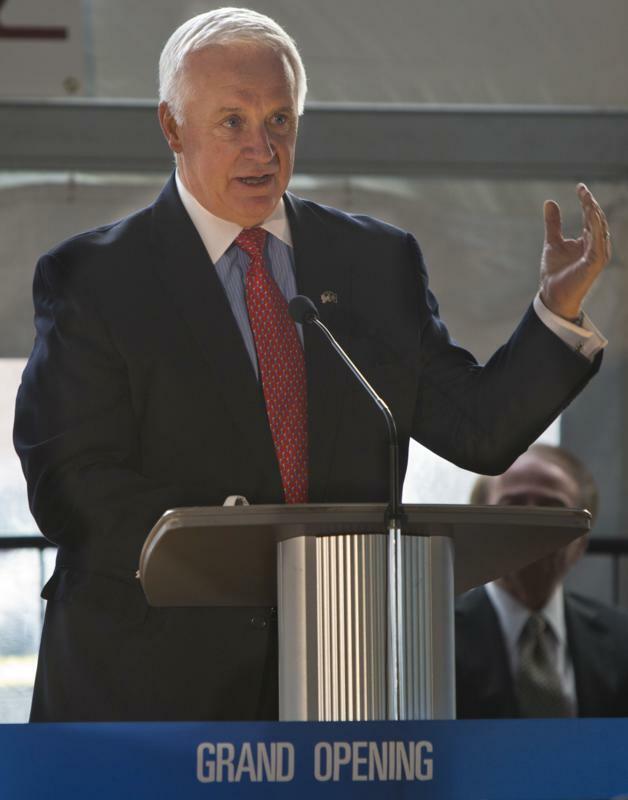 Governor Tom Corbett today highlighted his commitment to provide services for individuals with intellectual disabilities during a tour of a community center operated by Special People in Northeast, Inc. (SPIN), a non-profit human service organization. 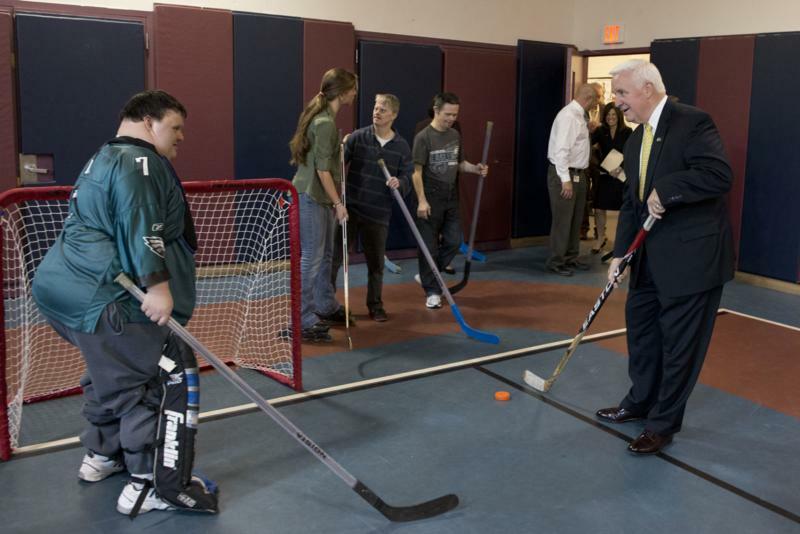 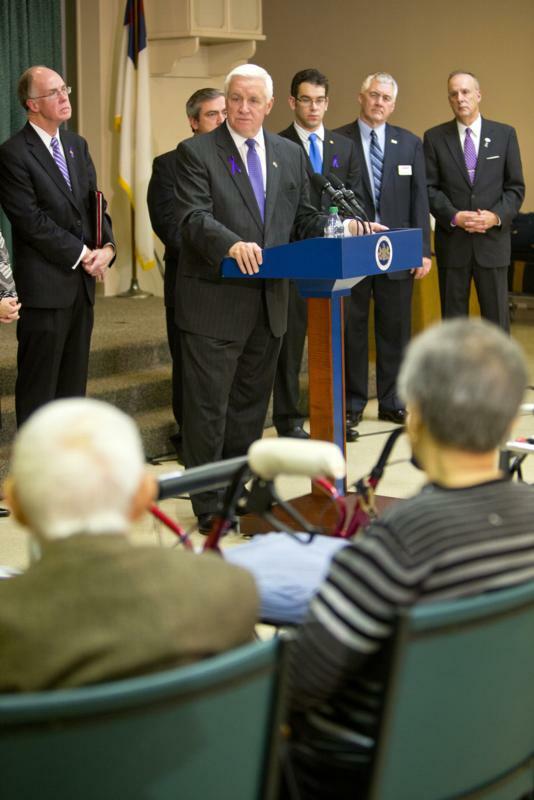 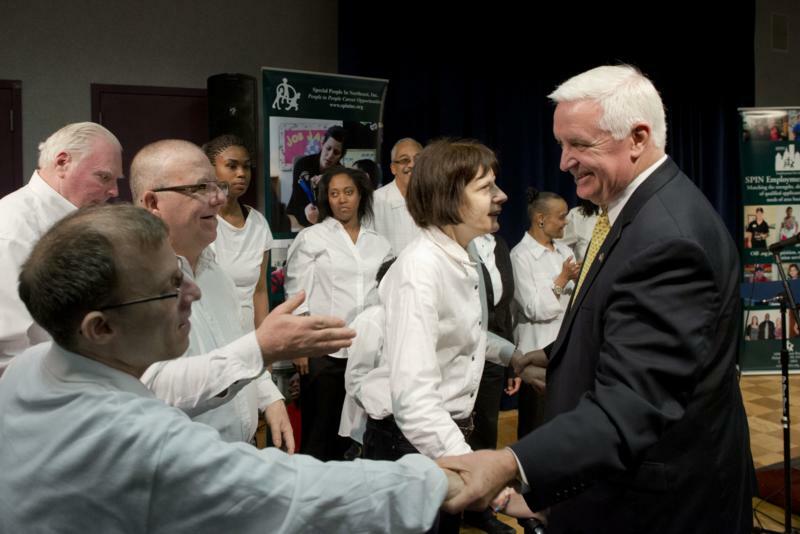 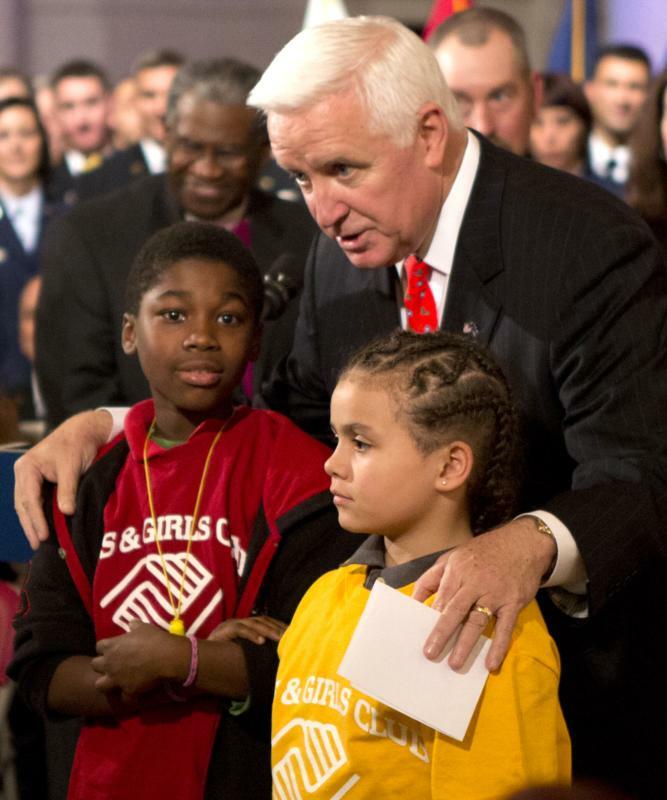 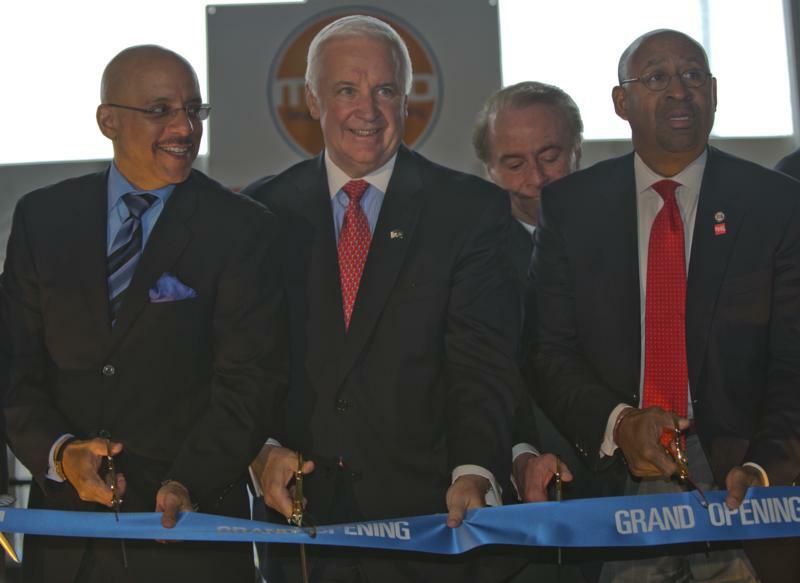 Philadelphia - Governor Tom Corbett today highlighted his commitment to provide services for individuals with intellectual disabilities during a tour of a community center operated by Special People in Northeast, Inc. (SPIN), a non-profit human service organization. 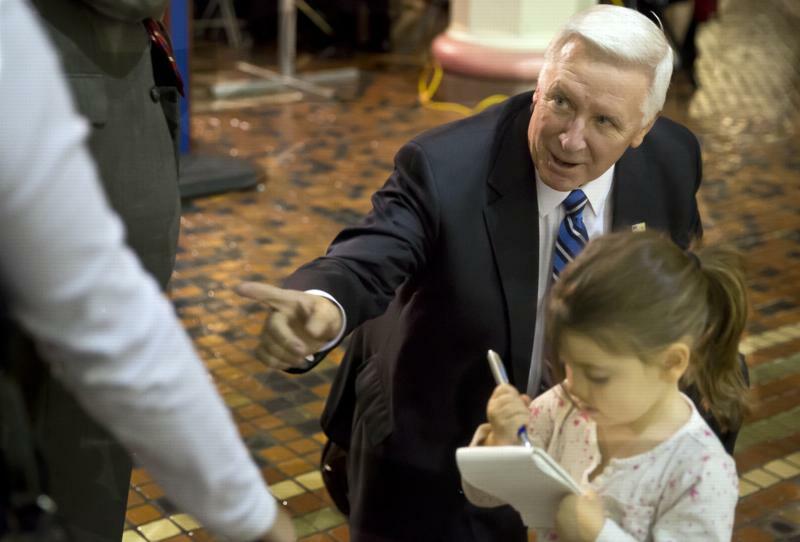 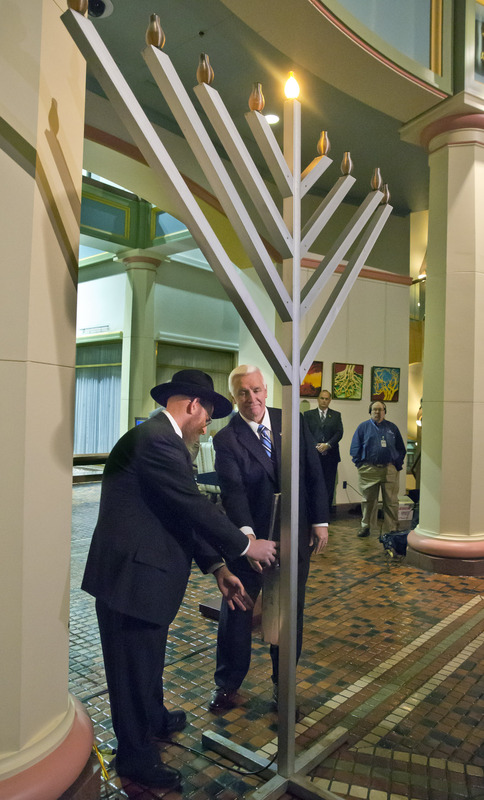 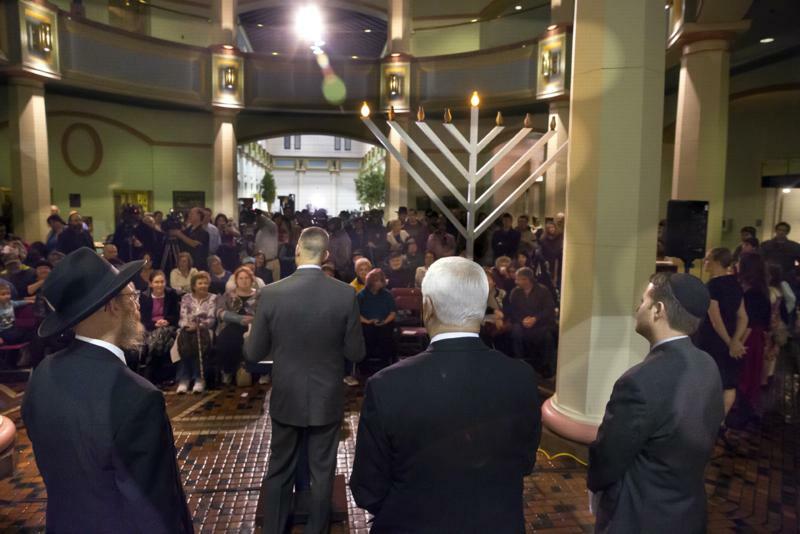 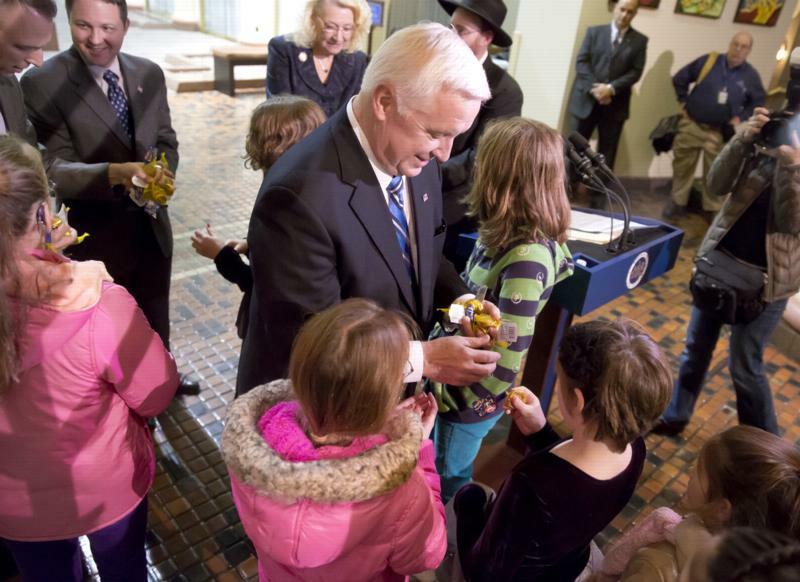 Harrisburg - Governor Tom Corbett took part in celebrating the start of Hanukkah today by helping to light the first candle of the menorah in the Capitol's East Wing Rotunda. 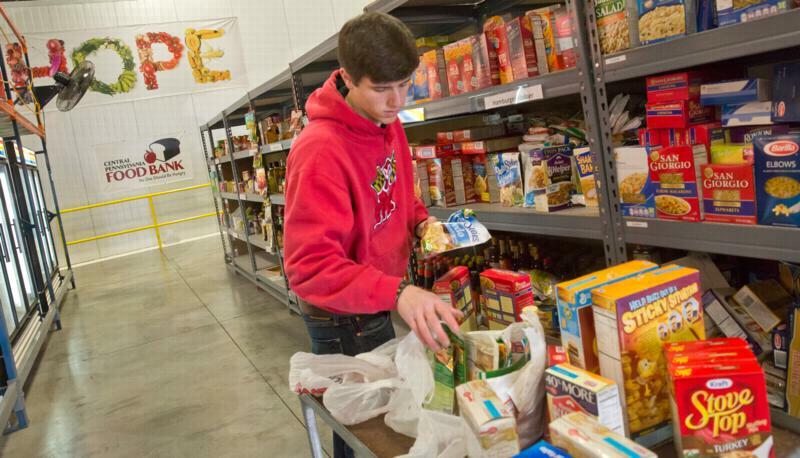 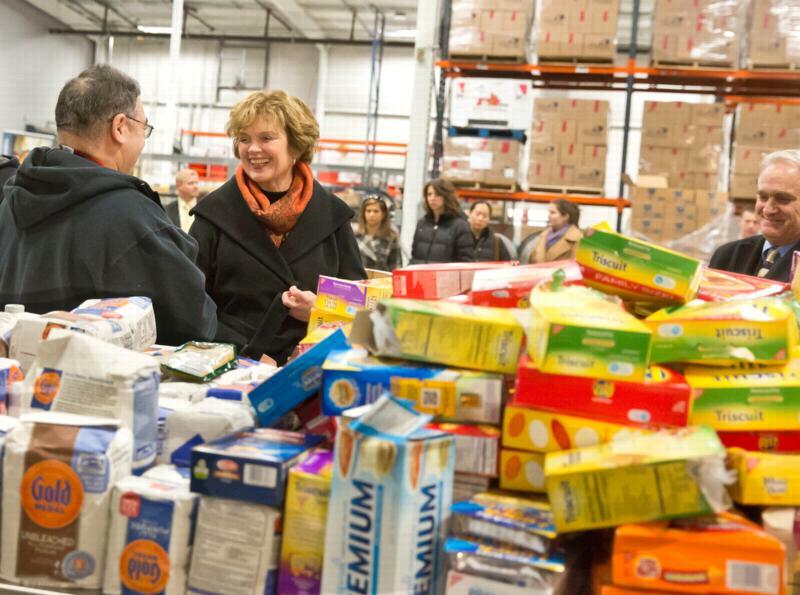 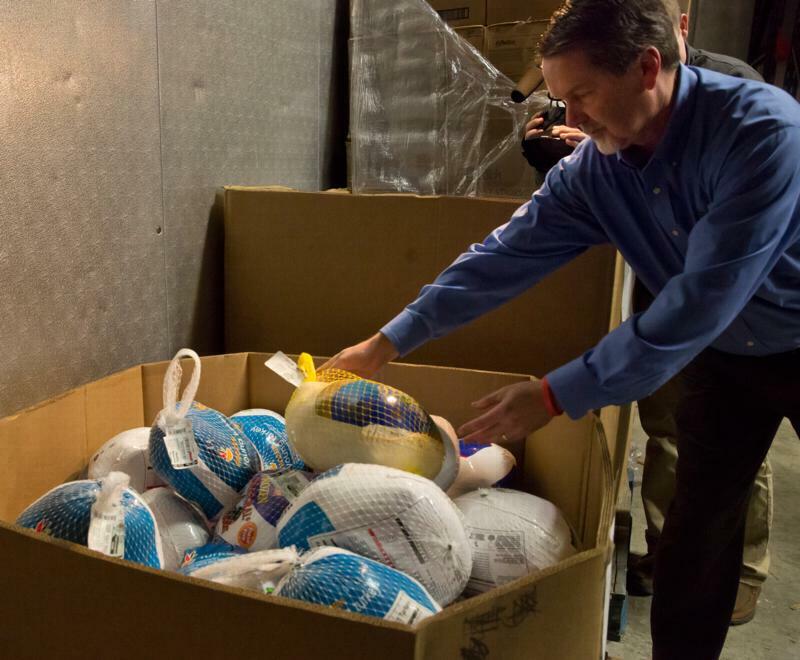 First Lady Susan Corbett today donated turkeys, canned goods, other non - perishable items and money to the Central Pennsylvania Food Bank in Harrisburg. 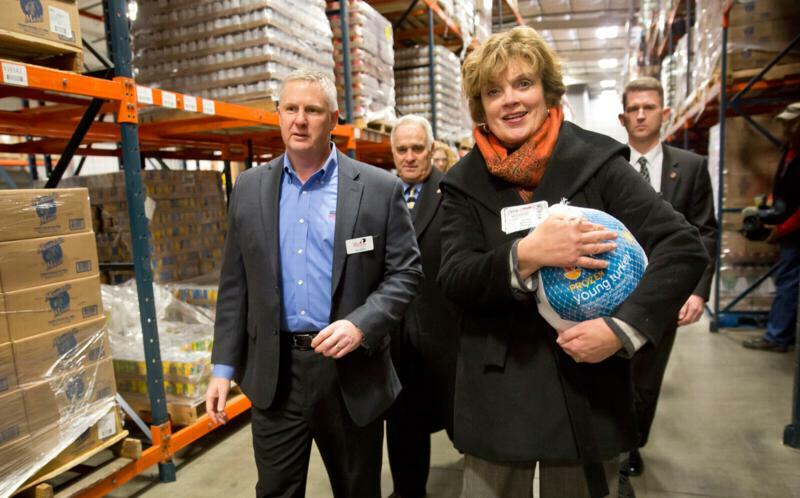 First Lady Susan Corbett today donated turkeys, canned goods, other non-perishable items and money to the Central Pennsylvania Food Bank in Harrisburg. 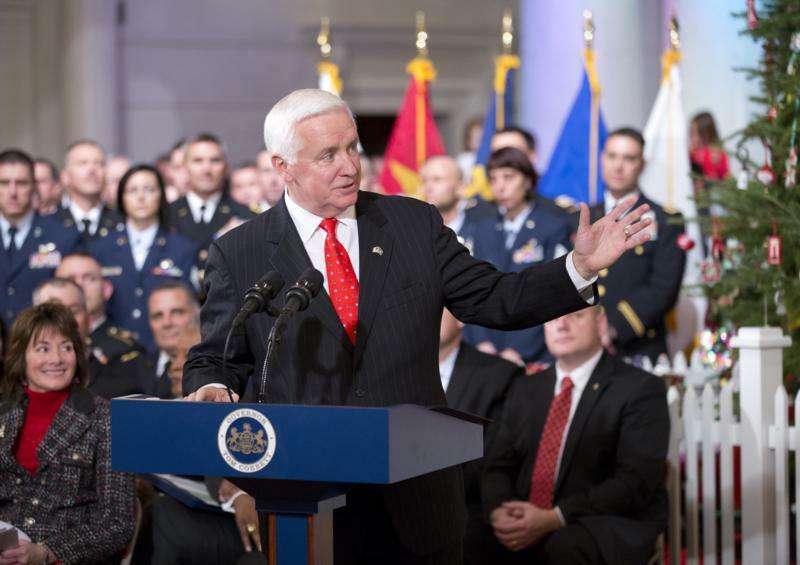 Harrisburg - Governor Tom Corbett today ordered all United States and Pennsylvania flags in the Capitol Complex and at all commonwealth facilities across the state to fly at half-staff TODAY, Friday, Nov. 22, in commemoration of the tragic death of the late President John F. Kennedy.